[Review] Merchant Shares: It Could be the Next Scam Sooner! Attention: Many of our Readers and Users have reported that they have stopped paying and Suspending the accounts with a bigger amount for No reason. It could be a scam sooner! Before writing Merchant Shares Review, I studied and researched a lot and the facts I found about Merchant Shares, I am going to discuss you in this review. I will also share my personal experience with you. Now there is a major change in the paying structure of Merchant shares. Now you will get paid only if you view the advertisements. Now it has started working on the advertising model. In short and simple, now if you want to invest in merchant shares then you will have to purchase their ad packs and then view some ads daily to get your earnings. At present, they are offering 5 Adpacks. You can buy multiple packs at a time according to your budget. You will get paid daily until you get 150% of the amount you invested in buying Adpacks. To collect data and information, I arranged an online meet (through chat) with one of Merchant Shares support staffs. I asked him a lot of questions and he replied me honestly. I would like to share few of those questions that you might want to know. When this Merchant Shares website started, from how long it has been paying, and what are the sources to pay their clients? I also checked on site there is a logo of 30 days money back guarantee? what is that? Find us in Dominican government site, we (Merchant Shares) have registered since 2007, operated locally and lately around 2 years we are in the global online market. As per Dominica International Business Companies Act 1996, it provides a full exemption from tax for IBC companies for 20 Years. We are registered in 2007. We are eligible to conduct business there till 2027 without paying any taxes to the government of Dominica, However, to continue our business after 2027 some fees might be added in the transactions so that we will be able to pay taxes to the government of Dominica. We collect member's funds based on Investment Sector, Invest in collective Basket Fund, Share today's profit on starting of next day. We have following investment sectors: Web Ads, Forex, Commodities and Stocks at this moment. 30 Days Money back guarantee means you can refund your deposit within 30 days from the date when you deposit the particular fund. My question (Suresh): How can one get his refund? 1. if your investment is longer than 30 days. 2. if you have ever transferred the profit yield from the investment. What are the daily profits? How much can a user earn on his investments (ROI)? No matter how much you invest, you will earn a total of 150% of the investment including invested amount. Daily profit % and days are not fixed. We pay daily 0.25% to 2.25% in all Investment sector based on trading performance, till your investment will earn a profit of 150% including your invested amount. As per the past history, we found between 90 to 120 days to gain full profit (150%) from your active investment. So above questions have cleared lots of points. These questions are very important part of this Merchant Shares Review by Tips2secure. It is not the End of this review. I have still lots of things to discuss you. We can't blindly trust on the words said by their staff. Those words might not be 100% accurate or true. I collected other facts and data about Merchant Shares and I am sharing those facts in this review. These data and the Review of Merchant shares will help you in answering the following questions. 1. Is Merchant Shares Scam, Really? 2. Should I Invest with Merchant Shares? 3. How much can I earn with Merchant Shares? 4. How much Merchant Shares pay on the investment made by users? 6. What are the payment processors to add/withdraw funds? 7. What is the minimum amount to invest in Merchant Shares and what is the minimum amount to withdraw from Merchant Shares? According to ScamAdviser, MerchantShares Website has completed its 2 years 141 days online today (7th July 2016). What I came to know after reading the reviews of other people? To have some more data about Merchant Shares, I started investigating and reading the review of other people on the Internet. I was excited to know the experiences of those people who are in this system for a long time. After my research what I found around 90% people saying Merchant shares is a good site to invest. I did not find any negative comment regarding payout issues or Scam. Some people were saying Merchant Shares is an HYIP. But I do not think so as they are not paying any huge amount or making unrealistic promises. If they are really in the field they have confessed about then paying 50% ROI in 3-4 months is not a big deal at all. Overall, data I got from online reviews give a result that Merchant Shares is not a scam and they are paying regular (almost instantly after withdrawal request) to their clients. Abhishek started investing in Merchant Shares around 7 months ago. I got more useful information from him. He told me that he is getting his payouts and profits on the regular basis without any issues. ABHISHEK's Account has already been suspended for no reasons. He is using Perfect Money as his payment processor to invest and withdraw his profits. I asked him to show any of his withdrawal proof. He sent me the latest proof of 54$ that he got yesterday (6th July 2016) from Merchant shares. Here is the screenshot. So now it has 100% been cleared that Merchant Shares is a good site to Invest. Why should one Invest in Merchant Shares? Read these special features of Merchant share and you will have your own answer of why you should invest with Merchant Shares. Yes, Merchant shares also offer a referral program to their users. If you invite a user then you will get commissions of 5% on his investments. It has one level referral commission plan. These days security of the websites is very important. We often hear how websites are being crashed and hacked by hackers. But Merchant shares is fully secured and DDOS protected website. Means, there is no chances of being hacked by hackers. Merchant Shares come with 70+ global languages. Means you can easily use the website in your own language. There you may find little variations after translating the site in your mother tongue language. It is recommended to use the site in English only, if possible. Merchant Shares Scam: What about the risks? The Risk exists everywhere. Nobody knows what would happen in next few seconds. If you are investing your money in Merchant Shares then no doubt you have some risk. It is suggested to invest only those amount which you can bear to lose. But the facts are showing that Merchant shares website is safe to invest but this is not legally written on the paper. How to Invest with Merchant Shares? You can not signup directly going through the link of the website. If you do so then it will ask you to find a sponsor first. As as a reader of Tips2secure, you can get a sponsored link from us. If you sign up with the below given link you will be stay updated with every update of Merchant Share. 1. 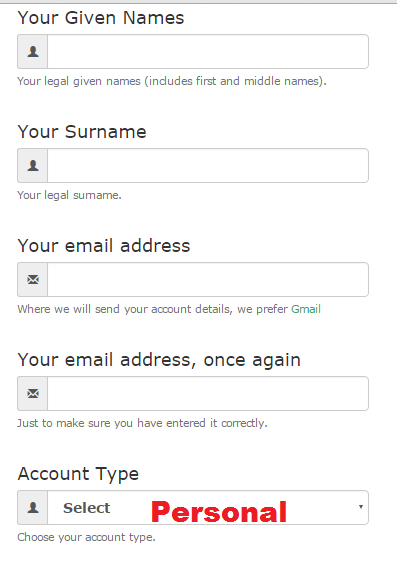 After sign up, it will ask you to verify your email address. After verification of your email, you can set your password. 2. Now to make a deposit, navigate to deposit option, then "create" and from there you can add your funds into your account. 3. Now same navigate to investment and select your desired sector to invest and you will be done. 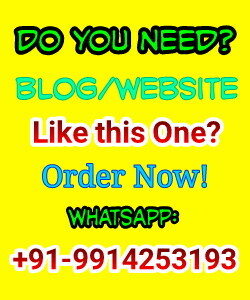 How to Earn from PPD Websites? If you have any question or doubt you can ask me here. Also, if you are one from the experienced users then do not forget to comment your experiences with Merchant shares. Your comment will be helpful for our readers. Message: I hope that you have enjoyed '[Review] Merchant Shares: The SCAM Chances by MerchantShares 2017' article. However, if you want me to deliver more items, then please share my post. You can use Social Sharing Widget provided at the end of every post. After all, Sharing is Caring! Most reliable online investment site. Instant deposit,withdrawal and reinvestment.Excellent support system. i will point on a few things. i have checked the governent that they are registred in and it apeara they are lying about registration. the image on the site is a forgery of the website of the goverment. Merchant Shares is supposedly 10 years old, but it's only been on the Internet some 3 years??? Can somebody tell me how long they've been on the internet? Merchant shares use to be legit now they are shady, they refuse to let you withdraw your money from your old investments and throwing this la di dah advertising scheme. if they were so honest why are they holding every single members funds from the old system. they are s scam just introducing a new click a link scam. you should try saying goes something negative on their fb group the admin attacks you. they are misleading people, they use to be a great program but now the owners are greedy they taking everyone's money who invested on the old system and found a new way to get people to send them more money. Now they are most probably going to turn into scam. Many accounts are suspended by saying an false excuse "multiple accounts and so are suspended and not able to withdraw anything now." That happened to me and my sponsor also. They have stopped replying to your queries and concerns. I am going to spread these words in facebook and various social networks. They are not paying at all, most account are now suspended for no reason, support never respond to questions, there online live chat is a complete waste of time, they have £10k of my money since October 2016 and i see very little chance of recovering a penny. Complete scam i feel, does anyone have contact details apart from support ? or know who is behind this scam ?? They are scam since long time already.This is just a ponzi and have kinda same structure with old Adclickexpress ponzi. Now they converted all people deposited money into MS tokens and members can use that tokens (their old money) ONLY if they invest new funds can use 10% from MS tokens.i hope they will go down by the autorities as this is an illegal ponzi scheme,and i will not wonder if behind this is same guys from acx ponzi.I am not sure but i saw in facebook group same IT guys from acx team playing around.